What, then, is this arti­cle real­ly about? To me, it is a fas­ci­nat­ing study between the speed of new think­ing and the speed of organ­i­sa­tions. I, too, share the con­cern that too many firms are still try­ing to catch up with the great inven­tions of yes­ter­day. I’m think­ing of those com­pa­nies that still ask cus­tomers to reg­is­ter any com­plaints via the old ways (snail­mail or tele­cons). And then there are the organ­i­sa­tions that con­tin­ue to fly peo­ple around the globe to attend half-day meet­ings that could be done via the Inter­net. And let’s not for­get the large health care cen­tres that have patients fill out paper­work to pro­vide infor­ma­tion that the patient has already pro­vid­ed, per­haps sev­er­al times over, with one or more doc­tors or with some­one else. As I scan cur­rent Inter­net knowl­edge, I see that oth­ers are struck by the same bat­tle between the need to change and the resis­tance to change. Scott Brinker pro­pos­es “Martec’s Law: Tech­nol­o­gy changes expo­nen­tial­ly, orga­ni­za­tions change log­a­rith­mi­cal­ly” [link]. He does a nice job, both with graph­ics and words, talk­ing about “The great man­age­ment dilem­ma of the 21st cen­tu­ry is the rela­tion­ship between these two curves: tech­nol­o­gy is chang­ing faster than orga­ni­za­tions can absorb change.” And, thus, one of the rea­sons I would sug­gest you read Scott’s thoughts is that he stress­es the impor­tance of organ­i­sa­tion­al lead­ers adopt­ing an inte­grat­ed start­e­gy for both chang­ing tech­nol­o­gy and chang­ing the cul­ture in which that tech­nol­o­gy will be used. Bri­an Las­siter also has some sage advice for lead­ers. 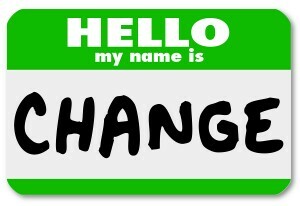 In his post about “Chang­ing the Way Organ­i­sa­tions Change” [link], he says, “Change is messy. It is non-lin­ear – it is usu­al­ly chaot­ic, full of emo­tions, and com­plete­ly counter to human’s sur­vival wiring. No won­der organ­i­sa­tions strug­gle in mak­ing suc­cess­ful change! So what can lead­ers do to more effec­tive­ly nav­i­gate change – or at least cre­ate a cul­ture that is more resilient to change?” He pro­vides 13 sug­ges­tions, tied to (among oth­er areas) con­trol, uncer­tain­ty, data and let­ting go of out­dat­ed tra­di­tions. I high­ly com­mend all of these thinkers and their posts to you. 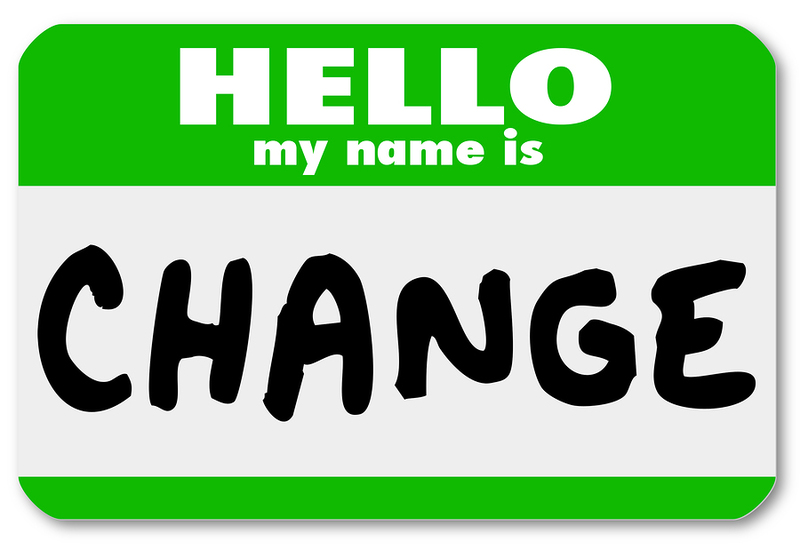 And I would add that per­haps one way to open the dis­cus­sion of change among peo­ple in your own organ­i­sa­tion is to think about the key role a sim­ple punc­tu­a­tion mark can make when added to the word “change”. Change? If you add a ques­tion mark, peo­ple begin their think­ing about change with doubts. Why change? Why now? Who says so? Do I real­ly have to change? Change! If you add an excla­ma­tion point, peo­ple can sense urgency, high impor­tance and, per­haps, some excite­ment and even a promise of improve­ment and, yes, inno­va­tion. To be sure, Lao Tzu did not envi­sion the man­ag­er who has to wor­ry about chang­ing the way peo­ple do things today, whether those peo­ple are in front of com­put­ers or cus­tomers, in cubi­cles or on load­ing docks. But his words ring eter­nal­ly true. If your firm resists change, then the com­pa­ny and its peo­ple will more than like­ly end up pre­cise­ly where they are head­ing. And what com­pa­ny can afford, a year from today, to be exact­ly where it is now?